Hidalgo Early College High School senior Jose G. Esparza III is a recipient of the 2019 U.S. Border Patrol Head of the Class Award. Esparza was honored with the award for being a well-rounded student, who is involved in school and the community, as well as excelling in academics and promoting a drug-free lifestyle. Esparza’s hard work and dedication to his academics and community is what helped him earn this achievement. Esparza has applied to schools such as Yale, Columbia and Stanford but his dream is to attend Harvard and major in Physics. Esparza is the oldest of four siblings and says that he likes setting the example for them, because he also wants the best for his brothers and sister. Esparza would also like to thank his teachers along his educational path for helping him with all his accomplishments. The Head of the Class is an award that recognizes seniors from across the 66 high schools of the Rio Grande Valley. 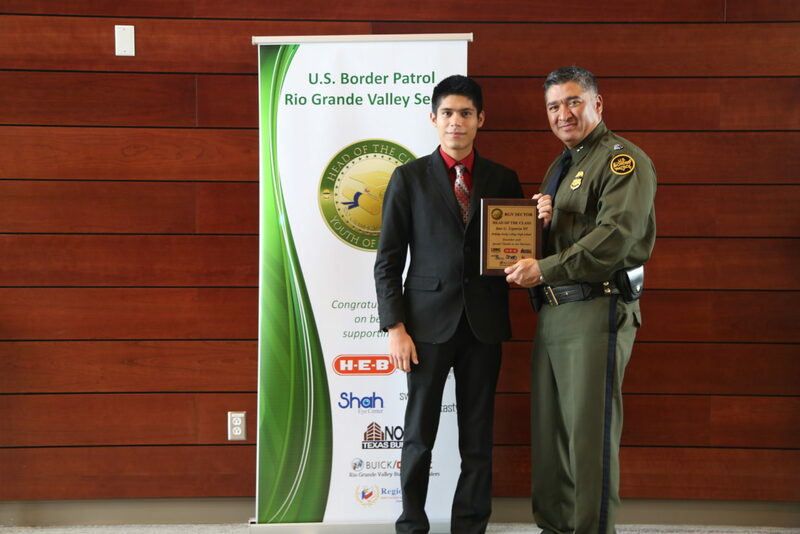 For 21 years, the Rio Grande Valley Sector Border Patrol has administered this educational program to recognize high achieving students.